awarded 767 times with the 2nd class being awarded 3364 times. Group pic, decorations with cases of issue. 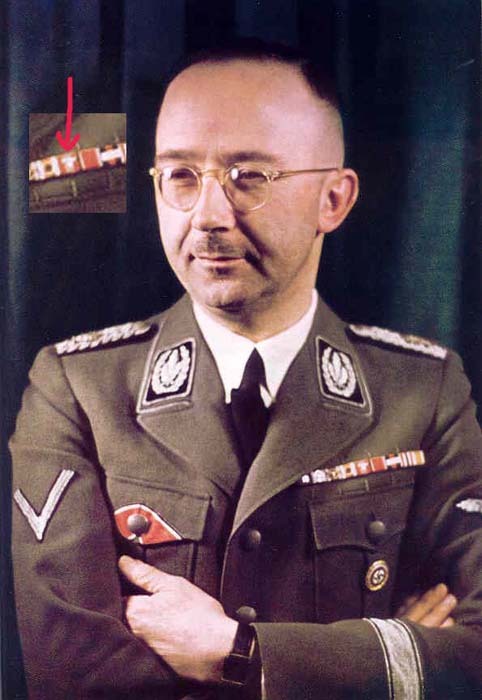 I am sure I remember seeing a photo of Himmler wearing the 1st Class anyone confirm if he got one ? I am sure I also read somewhere that the olympic medals were prohibited to be worn by party members at parades and party rallies ? As far as your examples go Raz excellent photo's and really nice awards, it is nice to see them without damage to the enamel. Yes I'm sure Himmler did get a 1st class decoration as well as did most other highranking SS. Yes I have seen two slight variants of the Mussert Cross, if I recal they have slightly different ring mountings. Can anyone expand on the differences, between originals and the souval copies ? I will try and dig out some photo's. Here's a picture of H.H... His (one of many) ribbon bars shows the Olympic award. When the 1st class was worn on a ribbon bar a national eagle was attached to distinguish it from the 2nd class..
That unregualtion medal bar always makes me smile. But who was going to point that out to him ? And the Medal. I've seen documents for these up to ranks equivalent to Colonel, so apparently some actual merit in the organizing area was required, since I have seen the 2nd Class as low as equivalent of a second Lieutenant. The award document for a Medal to a civil servant of "senior major" (had such a thing existed) equivalence. 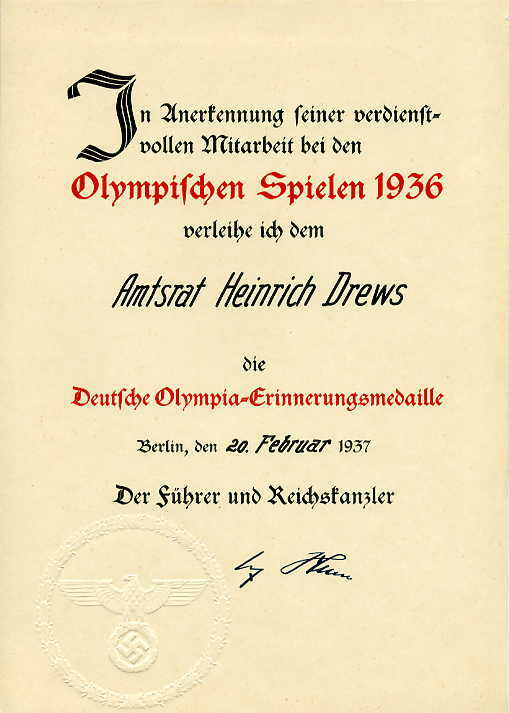 Amtsrat Heinrich Drews was in the Prussian Ministry of State and labored mere blocks behind the Brandenburg Gate in what became East Berlin. John, are you sure about that? Wasn?t on the second class a national eagle as well? If so, how would you distinguish it from a 1st class? 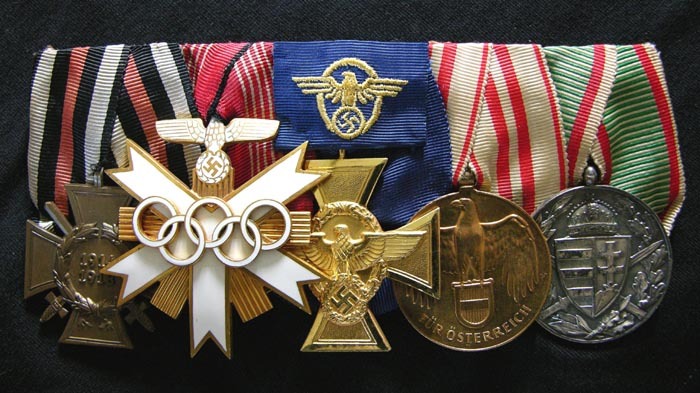 Thinking about it, and what would make much more sense, is that what we see on the 'H.H' bar is the 2nd class (with attachment), the 1st class was not represented on ribbon bars due to it being a high, neck worn, order and the 'Erinnerungsmedaille' without attachment.. That would fit. Hopefully, when Raz returns from his trip he'll be able to throw some light on to the subject.. 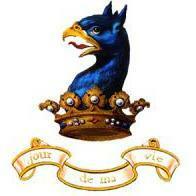 Per regulations, a gilt national eagle on the Olympics ribbon designates a second class. I have SEEN (internet) bars with miniatures of the decoration which purport to be "Kleindekoration" form 1st Class, but cannot confirm that, and have never had one in my paws for inspection. There are a lot of fraud and fantasy items out there for the exotic stuff, and the odds of turning same up should be balanced by the actual numbers that were awarded. Here is a Second Class on an as-yet-unidentified bar for an ancient W?rttemberg army officer. Be EXTREMELY wary of "upgraded" ruined original awards Hollywood-ized. I have seen perhaps half a dozen REAL bars like this in 30 years. 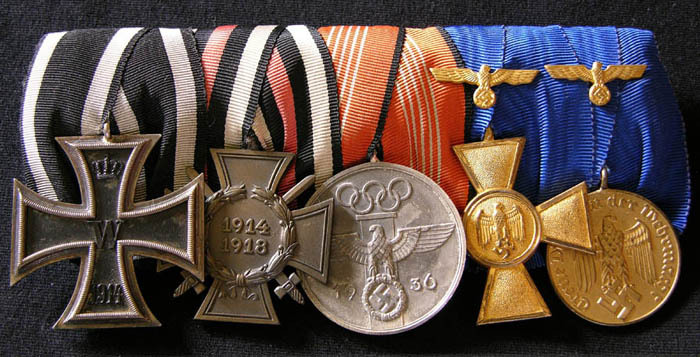 Heydrich also wore a ribbon bar with a metal eagle on the Olympia Ehrenzeichen ribbon. 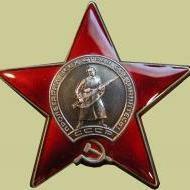 He had it in third place, after police and NSDAP service awards. 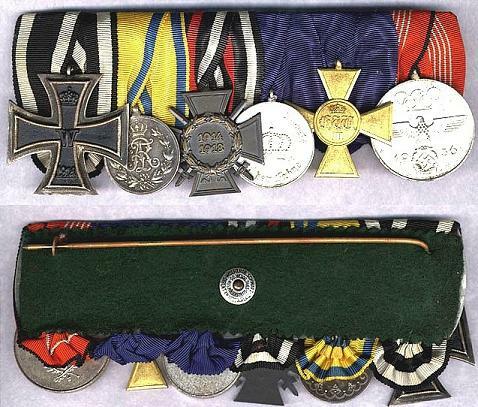 As for having 1st Class awards shown on ribbon bars, I've seen DRK 1st Class awards cased complete with single ribbon bar with the little enamel Kleindekoration. Interestingly, Heydrich's bar also has the same Volkspflege mini that Himmler has. Himmler's is before his Olympia Ehrenzeichen but Heydrich's comes much lower down the order. 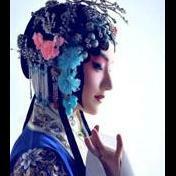 I 2nd that, some great items posted here. WOW! there are some nice bars here! and not to forget the awesome documents! - Die Oberste Stufe des Deutschen Orden mit Schwertern (mai 1944),ne le re?u jamais. "- Deutsche Olympia Ehrenzeichen 1. Kl," How explains? Requests your help. 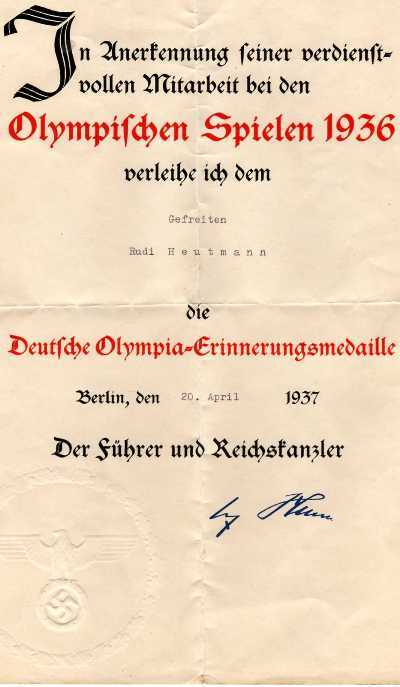 If you're asking why Himmler would have been entitled to the "Deutsche Olympia Ehrenzeichen 1. Kl", the answer is that he was the head of the 'SS' and Police which would have handled security for the Olympic Games. If this is not the answer you?re looking for, let me know?